Hello all! This is one of those cards that just comes together so well by itself that you card hardly believe it! 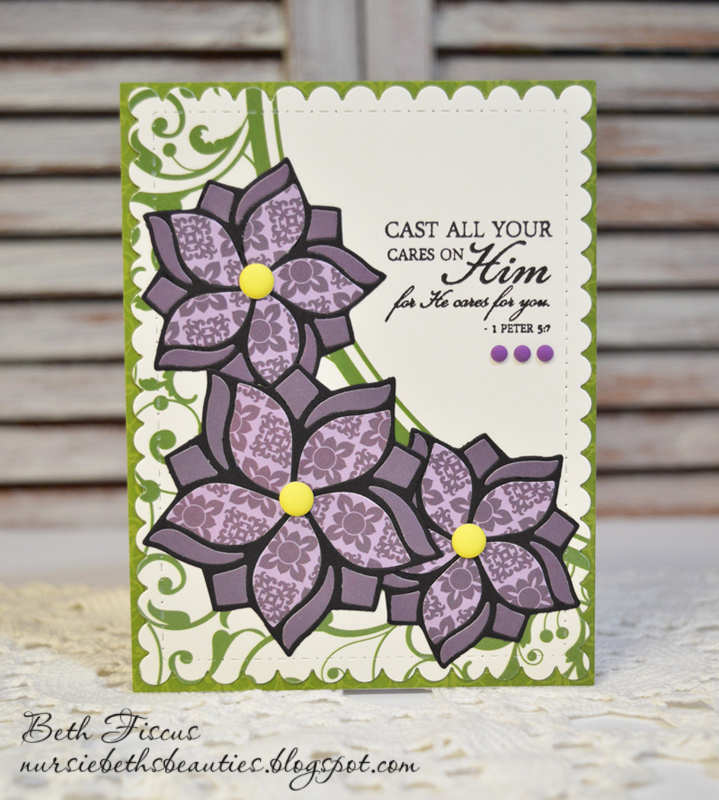 I started with GMD Violet Pinwheels Flowers dies and papers from Recollections' Modern Bouquet stack. I pieced them within a black cardstock negative of the die cut. They were adhered onto a die cut of a GMD Scalloped Stitched Rectangle using more of the patterned paper stack. Yellow enamel dots from GMD Succulents colors set were used as the flower centers. The sentiment is from Verve Stamps' Faith Medley set. I used Versafine Onyx Black ink and my Hampton Art Stamp Perfect to stamp it. 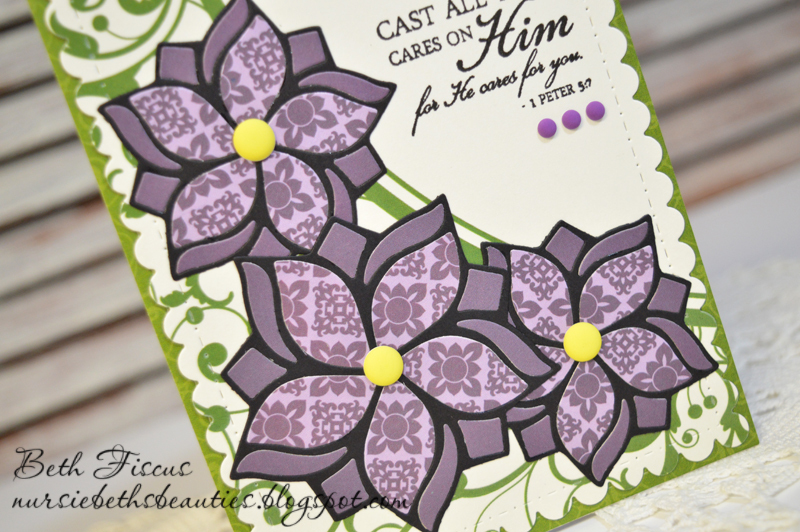 I added three enamel dots from the GMD Purple Trio colors to finish off the card. 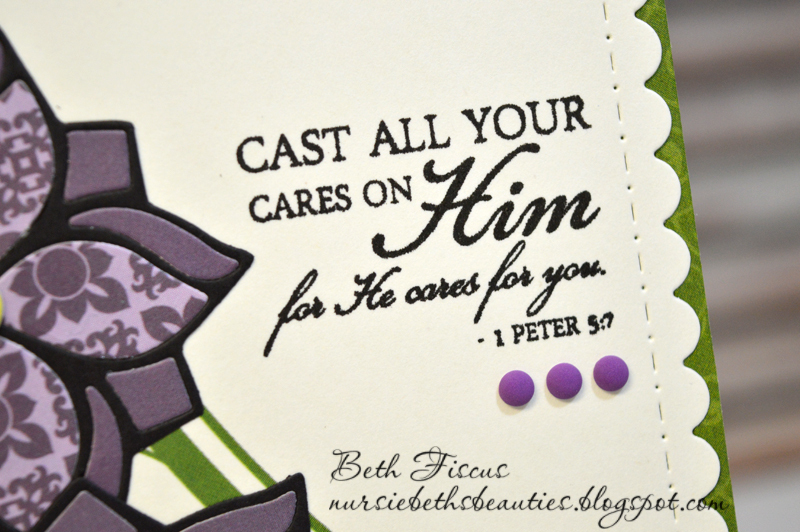 Beautiful card my friend!I love the scripture. So pretty! 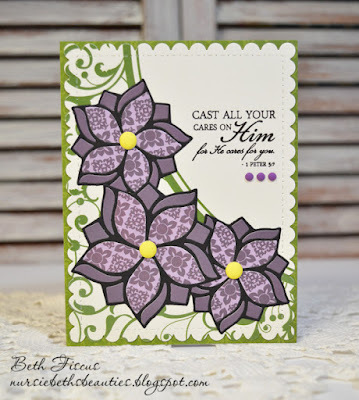 I love those dies and how you created the layered flowers! OMHECK!! Soooo PRETTY! 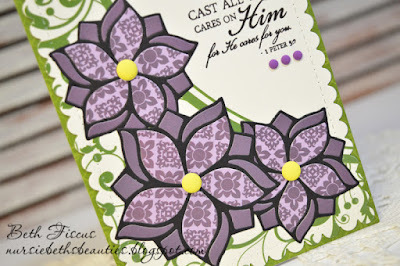 I LOVE the purple & those Flowers really POP off the card! LOVE it!